The first time I became intimate with the word 'limbo' was with with my ex-boyfriend. A couple of months after we had broken up, we found ourselves in contact again, reconciled but not completely back together as a couple. There was so much to heal that he didn't feel ready to get back on track just yet. But given our intense relationship and affection for each other, we agreed to both wait it out. For years I was neither here nor there, more than a friend, not quite the lover, and it was agonizing. It was then that I realized how limbo might as well had been hell. 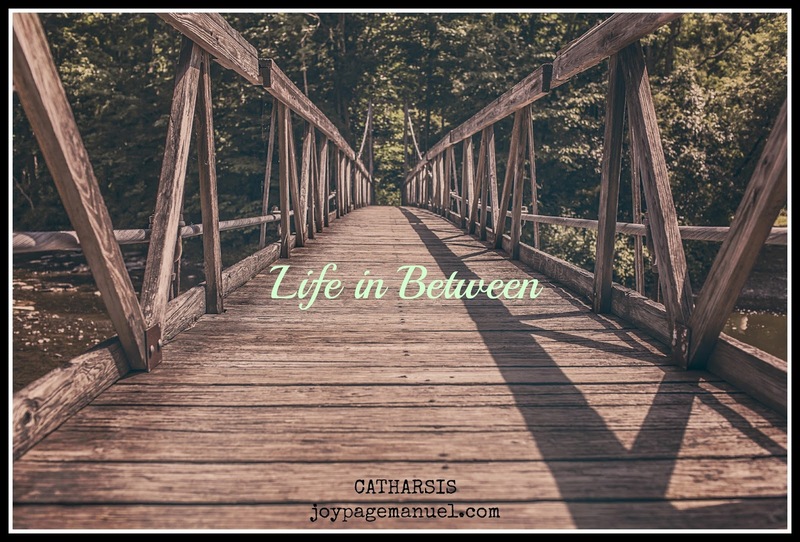 Despite being fully acquainted with the reality of limbo, oddly I still continued to find myself in this space in various aspects of my life, though not always by choice. And this feeling that I don't quite belong, that I'm always somewhere in between, all the more solidified when I migrated here to the U.S.
Searching for new friends has always been a challenge. In certain groups that I've attempted joining, I was either 'too ethnic'/'not American enough' or even sadder, I've also found myself on the other end of the spectrum where I didn't feel 'Filipino/Asian enough'. At some point, I just stopped trying and told myself that if not for my desperation, these are people that I wouldn't really choose to hang out with anyway. I didn't feel like we had much in common and I felt too old to try too hard and play games. I knew I was fine in my in-between space even solitarily. I suppose it doesn't help that I'm an introvert and prefer smaller groups and deeper conversations. That's just not everyone's cup of tea. The strange thing is, some people I've met wouldn't even believe that I'm a shy introvert. They all say I seem friendly. Well, I am! But it's a lot of effort for me and it's only because I force myself to step it up when I know it's necessary in social situations. I guess you could say I'm an in-between shy introvert. Physically, there's also a lot about me that seems to belong in the heart of 'in-betweenville'. I'm Asian and yet because of my mixed heritage, I don't look typically Asian. When it comes to my size and body frame, I'm again neither here nor fully there. I refuse to wear, (nor would I fit into) anything fitted and yet when I go to plus size stores, they tell me I'm too skinny. And my hair. Oh my hair! I'm afraid it has reached the worst limbo ever, closer to hell really. 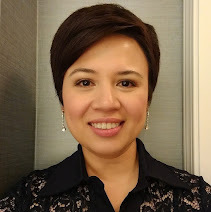 I love short hair but have been afraid to cut it really short because of my round face. So instead, I've opted for a longish version of short, a coward's pixie cut that doesn't really look like one. It's a hybrid. I'm in between. And I hate it. It's with all this in-between baggage that I showed up for my first blogging conference this past weekend. 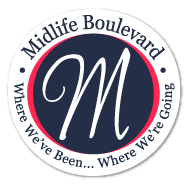 I went to the Bloggers at Midlife (BAM) conference right here in Nashville, filled with anxiety and of course the sense of resignation that it probably won't turn out differently for me. I have accepted that I would feel lost, insignificant, and of course, in limbo, amidst the sea of confident women who probably won't care about me. Why should they? We don't really know each other. I've only related to some of them virtually and so we only 'semi' know each other. We're in between. And then my age. The group is for women 40 and above, the midlifers. Though I certainly qualify in terms of my age, I knew that I'd probably be one of the youngest and I anticipated that this would further alienate me. When I got to the conference, everyone kept doubting and joking that I was probably just 27, or 18, who knows, and I wondered if my youthful looks made it more difficult for people to take me seriously. I hoped not. When I spoke and revealed to some of them my background, the attention went to my speech, my accent, but in a good way. I was told that they couldn't detect a foreign accent at all and found it surprising that I've only been here in the U.S. for close to 11 years. I still think I do have a slight accent, maybe at least with some words, I don't know. I'm in between, I guess. But the worst fear I had showing up at the conference had to do with my blog's identity. Can I just say it's a personal blog?...that I blog about parenting but not just about parenting?...that I blog about social life from the perspective of a migrant?...and that I also blog about romance, marriage, social media, culture and everything in between? Apparently I can. And apparently none of my baggage mattered when I met the midlife bloggers! Everyone was so welcoming and the warmth of these new friends I met made it easy for me to want to swim out from the depths of my in-between and simply show up just as I am---tainted with my imperfections, insecurities and all the limbo that defines me. I could sense that everyone was authentic and that gave me a safe spot to plant my feet on and keep walking forward. I survived my first blogging conference. More than that, I actually genuinely enjoyed getting to know these fellow bloggers / writers who were all full of wisdom and generosity. There was no sense of competition, only camaraderie. There was no judgment, only acceptance. I may not always be easy to figure out. Maybe my in-between-ness makes it far too complicated for some to want to get to know me. But this is who I am and if there's anything I learned from the wise and self-assured midlife women I met this past weekend, it's that we all have gifts within us. We can all make a difference with our distinct voices, whether we're speaking from the top of the mountain, a valley, or somewhere else in between. I'm so glad you wrote about the conference. I saw lots of pictures and tweets and I always love to hear how things went. This seemed like a really great group of women. It is, Nina! I think it was a good conference for me to start with. It wasn't too big, not too overwhelming and most of all, it was a group of supportive, secure/ self-assured women. Loved it! Thanks so much and I hope to meet you IRL someday soon! You are so cute and such a good writer! I am glad we met and hope to get to know you better! You are precious and going to break right out of this limbo into exhilaration!! You go girl! Joy, boy did you have me fooled! You looked confident and poised to me. I had no idea you were nervous! One of the best things about blogging is you have no boss. You can write about what you feel the need to write about. Yes, we all have our niche and for me it's grandparenting...but I write about a whole host of other things too. Now that I have found your blog I intend to visit often. And since you don't live too far away you are invited to come up and pick blueberries on our farm this summer. Keep in touch and keep writing, my friend! I love when you said:I could sense that everyone was authentic and that gave me a safe spot to plant my feet on and keep walking forward. I actually genuinely enjoyed getting to know these fellow bloggers / writers who were all full of wisdom and generosity. We can all make a difference with our distinct voices, whether we're speaking from the top of the mountain, a valley, or somewhere else in between. Thanks so much, Kathy. I really wished you were there, especially since you were the one who introduced me to this wonderful group. Someday soon, I hope!!! Mwaaaahh!! I still don't think you are older than 18, but I guess we'll let it slide! I was so impressed with you Joy! I wish you could see yourself the way that we saw you. First off, you are gorgeous and while most people's profile pics look like a better version of them or one from years ago yours truly does not do you justice! You seemed so confident and put together that I would never have believed that you would have anxiety and self-doubt. We have become very close over the last year since your grandma passed and you have grown so much! I was so very happy to get to meet you and I only wish that we lived closer together! I hate that it will be another year before I see you again! I am going to make some big changes this conference has taught me so much but mostly about myself. I stayed in my shell way to much and maybe it was the migraine or the fact that I couldn't wear the cool new clothes I had bought because my feet were so swollen I couldn't get my dress shoes on I just couldn't get past the insecurities and anxiety. Next year will be different, but I am so happy that I got to meet you IRL! People say online friendships aren't real, but that is BS I consider you a very good friend! Joy, thank you so much for this perspective on the conference. I was so, so sorry not to be there. Next year for sure! I tend to be somewhat introverted in large groups too, but these ladies seem so wonderful that I think I would be comfortable. I love your blog and your writing and look forward to reading more! Lana, we'll hunt each other down next time and we can hang out so we won't feel lost. Yes, the group is wonderful and I'm sure you would've enjoyed it too! Thanks so much for reading and commenting, and for just always being so supportive. It means a lot, my friend! Have a great weekend! Pennie, I know I've said this in my FB message to you earlier, but again....THANK YOU. It is an honor to have you write that about me. My heart is leaping with such joy! *BIG HUGS TO YOU* You have no idea how encouraging and inspiring you are to me. Your opinion has a lot of weight and so again, please accept my deepest gratitude. The conference must have been fun. I'm glad you enjoyed it. Maybe one of these days I'll be able to get to one too. I think a lot of us bloggers have felt like misfits for one reason or another for most of our lives. Blogging gives us a voice that sometimes resonates with people and sometimes doesn't. Yours most definitely resonated with me. Though I am Filipino through and through (Chinese ancestry, but I'm like 5th generation or so), I can relate with how you feel that there are times I ask myself if I am Filipino. But then again, being Filipino does not automatically that I am a telenovela, karaoke lover (and good singer). I'm so glad you were there. I've been the one accused of not being old enough, so I know where you're coming from. Wasn't the conference wonderful? I can't wait until next year. You are a delight. You are soulful. You are beautiful. You are....JOY! I am so glad we met. We all come with baggage. ALL. So I'm glad you decided to come to the conference because I got to give you a few hugs. I look forward to the next time when I can do the same. Only with a bit more conversation! Just remember: know one really cares much about your baggage. They're all too busy thinking about themselves! Every time I find myself getting uptight about going to an event with new folks, I remind myself of that, and it's so true, it puts me right at ease! P.S. : I thought your hair was/is beautiful. And so are you. Glad we've connected. I struggle with the same problem. Too Americanized. Not Filipino enough. I try to seem less intellectual in some circles and hide my mainstream tastes among my more "cultured" friends. I've never worked where I live so I never know my neighbors. I finally have a group of friends who I can be myself around other than my family, but it took a long time. Oh, I can totally relate! I had an ex too with whom our relationship lasted 3 years but we were "not completely a couple" for two more years. And I'm an introvert and social obligations force me to step up and be friendly even when I don't see the need for it. Happy to have discovered you, oh fellow in-betweener-blogger! I've yet to go to a MidLife conference and feel that love, and that mooring to a community as diverse and impossible to pigeonhole as the writings I'm drawn to.